The first module of the Iranian earthen architecture international workshops by the “Esfahk Mud Center” is going to be held from February 26 to March 2, 2018 in the village of Esfahk, one of several desert-climate villages in Iran. 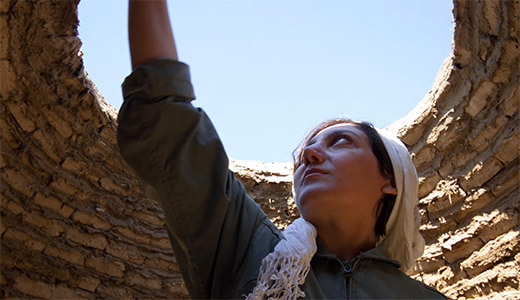 The workshop will present Iranian vernacular architecture in general and earthen architecture in particular, including traditional techniques for building vaults. This will include practicing techniques by building four specific vault types which are built without any mould with adobe. The building of the vaults will be led by two experienced and skilful masons who have built many vaults in the village on their own. Please contact us by email and let us know if you are interested in joining us for the workshop. Send us a brief motivation letter and your CV. If you may need any further information, don’t hesitate to contact us.